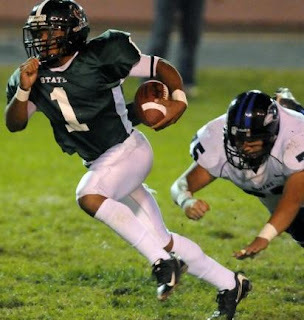 Torneden started at quarterback, cornerback and acted as Free State's primary return man in his junior and senior seasons. During that time he combined for over 5,000 yards of total offense, and just over 50 total touchdowns. In his sophomore and junior seasons Faddis mixed in playing time at the quarterback, wide receiver and cornerback positions, in addition to returning punts. He was an all-state selection in 2002 as a quarterback after combining for 25 touchdowns, then he followed that up with an all-state selection as a senior in 2003 at the wide receiver position. 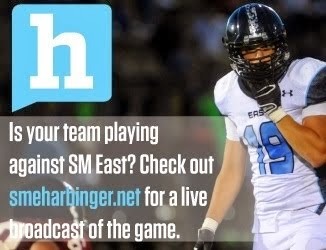 Santifer literally did it all for Olathe South. Combining his junior and senior seasons, he totaled 60 catches for 754 yards and four touchdowns, 71 carries for 711 yards and six touchdowns, 84 tackles, eight interceptions and four kickoff returns for touchdowns. Leonard's outstanding senior season really bumped him up this list. During that year he played wide receiver, cornerback and returned kicks and punts. He totaled 1,296 yards of total offense, 16 touchdowns (13 receiving, two on punt returns and one on an interception), 49 tackles and five interceptions. He caught 25 touchdown passes in his junior and senior seasons combined. With his placement on this list, Moomau found his way onto three different lists (Quarterback, Defensive Back and All-Purpose), but it's fitting. In three years on Olathe North's varsity he totaled over 3,000 yards of total offense in addition to 19 interceptions. Mo Mack won the Simone Award because of his prowess on offense as a running back, but it's no coincidence he played linebacker at the next level. In addition to his combined 3,068 rushing yards and 39 touchdowns in his junior and senior seasons, he also tallied nine career interceptions as a defensive back. Willingham was primarily known for his role as a running back, but he also made huge contributions on the defensive side of the ball. In his junior and senior seasons he combined to rush for 2,623 yards, in addition to recording 104 tackles and two interceptions. SM Northwest head coach Aaron Barnett called Atagi the best player in the Sunflower League in 2008 and from a versatility standpoint he was dead on. Atagi totaled 3,070 rushing yards and 46 touchdowns in his career with the Cougars, despite missing several games towards the end of his senior season. He was also a dominant figure on the defensive side of the ball. Murphy played quarterback and cornerback during his time with the Firebirds. In his junior and senior seasons he combined to pass for 3,518 yards, rush for 1,710 yards and score 50 touchdowns. He also had six takeaways on defense as a senior. Fancher was a track star who translated well onto the football field... or maybe it was the other way around? Either way, his speed was second to none during his time in the league. He played wide receiver, defensive back and returned kicks and punts for the Cougars in his junior and senior seasons, accumulating touchdowns at will.